Please find below the latest update on the progress of the works at Highams Park Dam along with a couple of pictures illustrating some of the recent changes. If you have any questions about any of this please let me know. For those of you that were too busy to go down and watch we have also attached a short video clip off the dredger in action. The construction of the reinforced concrete floodwall by the Scout Hut has progressed well and the concrete structure is almost complete. The remaining section is due to be cast on Friday 12th December. The completed sections are being clad with bricks and this should be finished before Christmas. Coping stones will be installed on the top of the wall in the New Year. 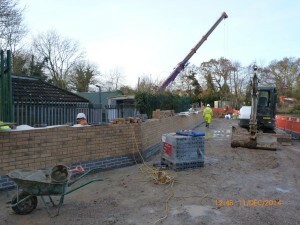 The darker coloured bricks in the attached photograph will be under the ground and not visible when the wall is completed. Repair works to the concrete landing stage on top of the dam have started. These will facilitate the launch of canoes on the lake in the future. The new footbridge will be installed the New Year. Repair works have been carried to the existing bridge abutments together with some modifications to accommodate the new, narrower footbridge. The drawdown structure will enable the water level in the lake to be lowered in an emergency situation and for maintenance purposes. The reinforced concrete inlet and outlet structures have been completed. They will be clad with bricks before Christmas and the pipe connecting them will be laid in the New Year. Desilting works have been completed and 5,000m3 of silt have been removed from the northern end of the lake. The water is slowly adjusting to the disturbance in the sediment and should become clearer in the next few weeks. A picture of the former ‘smelly end’ is attached. We have kept on oxygenating the water through the deployment of aerators. 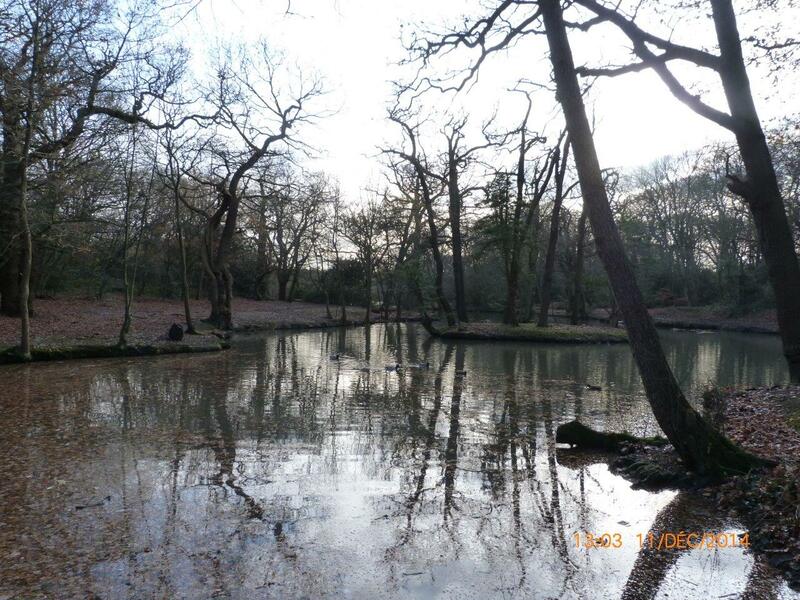 Through regular monitoring we have established that they have been very beneficial in maintaining dissolved oxygen levels across the lake, ensuring that the works do not have an effect on wildlife in the lake.